Shank Dia - 3.175 mm, CED - 3.175 mm, CEL - 12 mm, OAL - 40 mm. Shank Dia - 3.175 mm, CED - 1.5 mm, CEL - 6 mm, OAL - 40 mm. 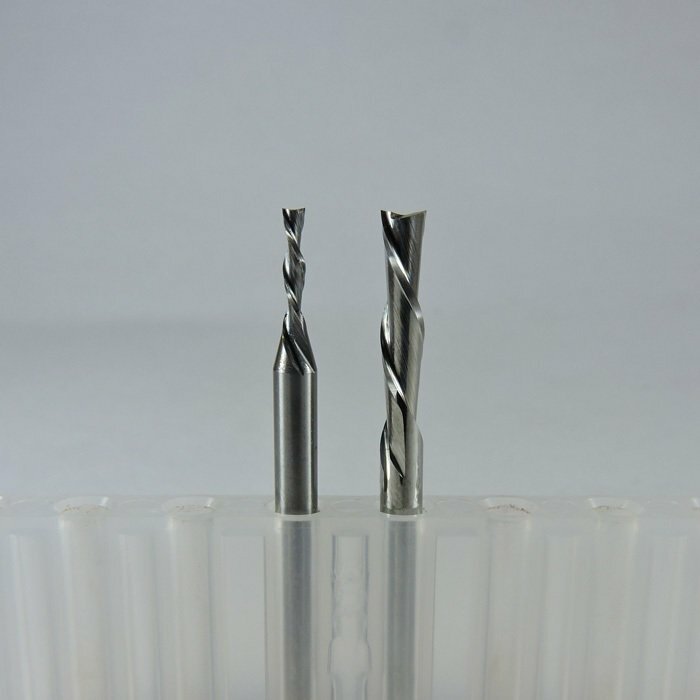 Solid Carbide Up cut Fish Tail Spiral Bit - 01 pc.